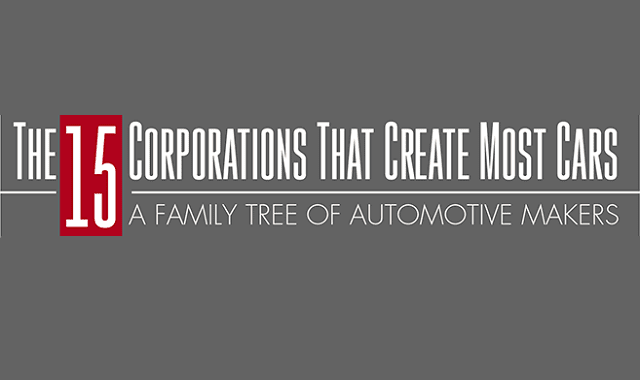 A Family Tree of Auto Makers: 15 Companies Create Almost Every Car on Earth #Infographic ~ Visualistan '+g+"
When shopping for a new car it can be overwhelming to have to make a choice with so many options out there. First you have to choose between a variety of car brands, and from there you have to make a choice as to which of that brand’s car models you prefer. With so many brands and models out there to choose from it may come as a surprise that a majority of these cars are created by just 15 different corporations. General Motors, Ford, and Fiat Chrysler Automobiles (FCA) are the three biggest corporations in terms of the number of car brands they own. Even Tesla and Suzuki were considered big enough to make it on the list even though each only owns their respective brand. 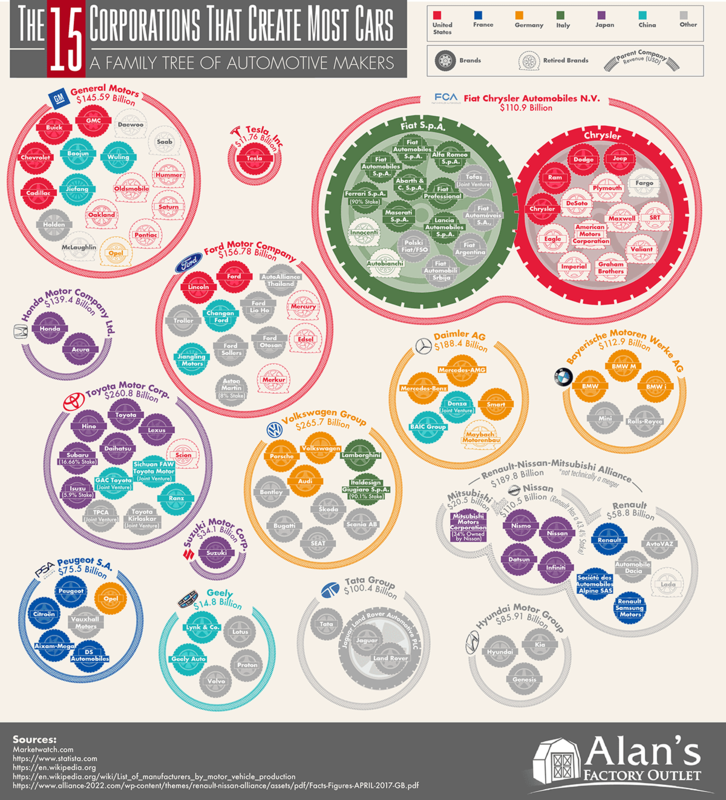 This infographic from Alan's Factory Outlet has a lot of information to cruise through from the various parent companies, the current AND retired brands under each, as well as the country that each corporation is located in. If you like it, go to AlansFactoryOutlet.com and let them know!